We are sure by now you have heard that the sale of the HUMMER brand could not be finalized. As a result, HUMMER will be phased out over time. We know there may be concerns about your vehicle’s warranty coverage and the service of your HUMMER going forward. We want to assure you that the expressed written warranty on your HUMMER will be honored by General Motors. 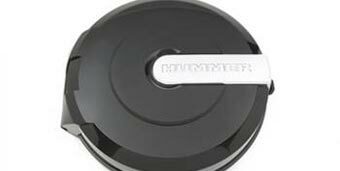 You can also be certain that replacement parts will continue to be available through your HUMMER Dealer. Committed to honour the HUMMER Bumper-to-Bumper warranty (4 years/100,000KM) given at the time of purchase for existing and new customers in Lebanon. 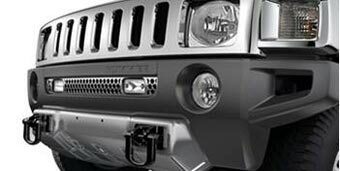 Committed to providing service and spare parts on your HUMMER vehicle for 10 years from the date of purchase. 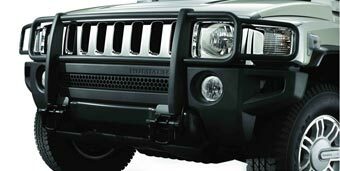 Brush Grille Guard Go for the ultimate in personalization with this grille guard, It not only protects the front of your H3 but it is designed for a perfect fit and rugged look. It’s a great finishing piece to compliment additional accessories available for your H3. 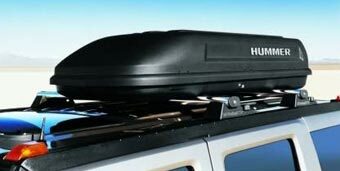 Roof Mounted Hard Cargo Carrier This hard surfaced, aerodynamic cargo carrier comes in handy for larger items that you want to keep out of the passenger area, but away from the elements as well. 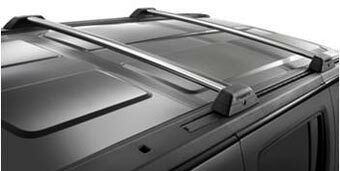 It’s fully locking and mounts to the required roof rack crossbars. 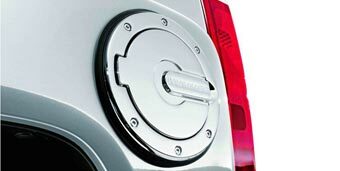 Fuel Door This chrome-plated fuel door is constructed of solid metal and was specifically designed for the H3. 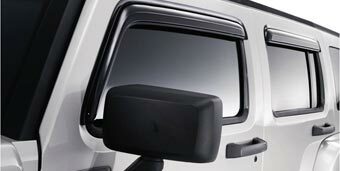 Side Window Weather Deflector Dual function vent and visor feature lets fresh air in. Keep rain, sleet, and snow out. 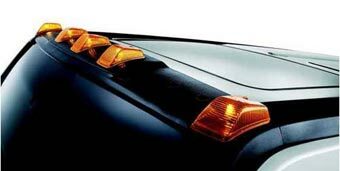 Custom molded to fit your vehicle, they help to reduce wind noise and sunlight glare. 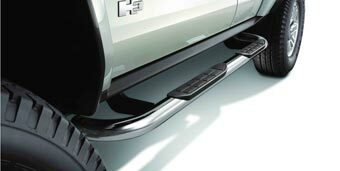 Tubular Assist Steps - Rounded Frame-mounted, rough-textured step pads and a strong tubular frame design help you get in and out of your H3 and make it easier to reach items on the roof. Available in black or chrome stainless steel. Protects the interior of your vehicle from mud, snow, and debris. 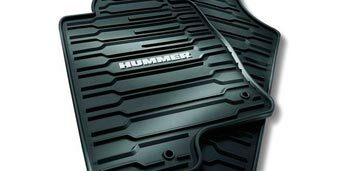 Floor Mats – Cargo Area Premium All Weather This rubber mudder cargo mat comes with thick, deep ribbing that provides additional protection to the H3’s cargo area. 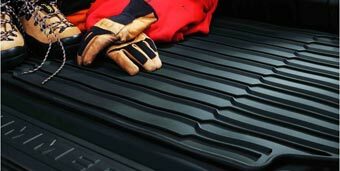 Cargo Area Liner Custom-fit fabric designed to provide superior protection from scratches and stains in the cargo area and seatback, in the up or down position. Folds neatly into a pouch for compact storage. Under Body Shield For you hard-core off-roaders, this package includes two shields. A large shield offers protection for the transmission, and a smaller shield (which replaces the standard transfer case shield) with a more robust design. Both shields are constructed from welded tubular steel and bolt to the frame. Off-Road Front Mounted Lamps Two 55-watt lights attached to the lower grille . 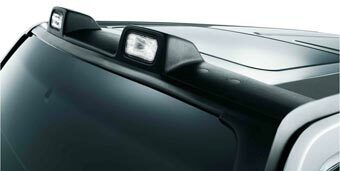 Provide additional front lighting for off road use. Comes with removable front covers, switch and wiring harness. 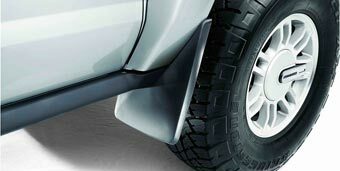 It not only protects the front of your H3 but it is designed for a perfect fit and rugged look. It’s a great finishing piece to compliment additional chrome accessories available for your H3. Spare Tire Cover This hard-shell cover fits firmly around the rear-mounted spare tire and protects the spare tire and wheel from things you may encounter on and off-road. Available in select body colors. 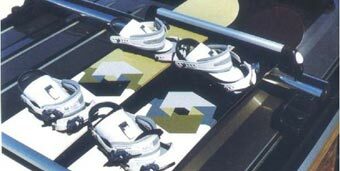 Roof-Mounted Ski Carrier Carrier can hold multiple skis or snowboards, depending on equipment style. 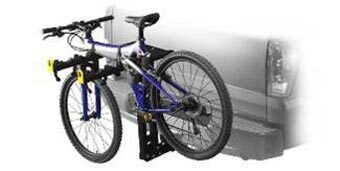 Hitch-Mounted Bicycle Carrier This carrier holds up to four bikes and easily fits into your vehicles hitch. 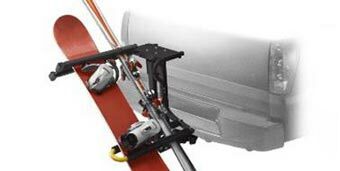 Hand-operated tilt-down lever allows access to the cargo area without removing the carrier. Requires license plate holder. 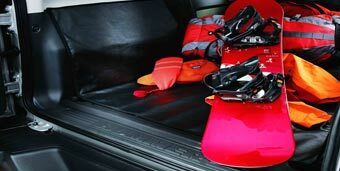 Hitch-Mounted Ski Carrier This carrier holds up to five pairs of skis or four snowboards and one pair of skis, depending on equipment style. Hand-operated tilt-down lever allows access to the cargo area without removing carrier. Requires hitch-mounted bicycle carrier and license plate holder. 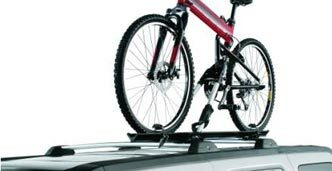 Roof-Mounted Bicycle Carrier – Wheel Mount Each carrier holds one bicycle. Additional carriers may be added depending on bicycle style. Requires vehicle roof rack and utility bars. 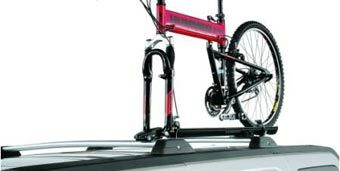 Roof-Mounted Bicycle Carrier – Fork Mount Each carrier holds one bicycle. Fork-mounted carrier requires bicycle with quick-release front wheel hub. 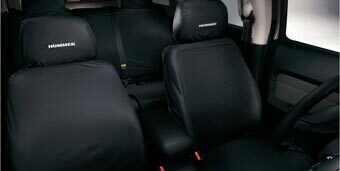 Seat Covers Water-resistant seat covers will protect both the front bucket seats and second row bench seat from spills, dust, mud, and overall wear and tear.